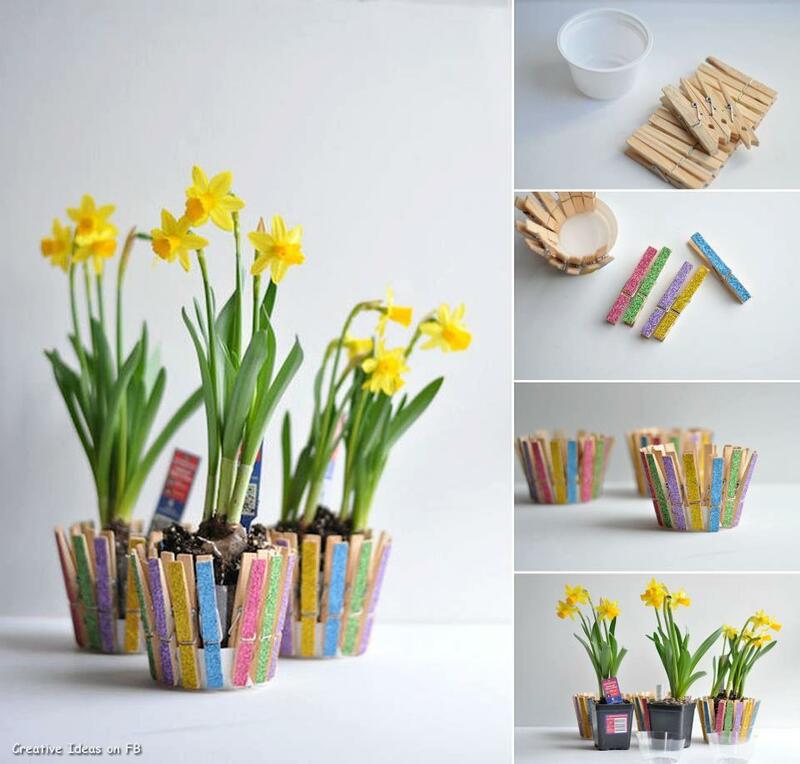 Pom pom carpet, flowers - antlers, clothes pins vases and other ideas. That's not a secret that antlers are very trendy now, however, we are used to seeing them on the walls or as the head accessories. I've found the idea which will replace ususal flower vases and will perfectly fit as any celebration table decoration. Instead of horns you can also use the tree branches of a similar form. Clothes pin can be painted in any way or color as you wish and you can buy some ready as well. You just take short youghurt or sour cream cup and clip a clothes pin - vuolia! The whole process is illustrated in a picture. To simplify everything, you just take board and paint it as your imagination lets you, use a sticky paper tape if needed. You find various things which could fit as hooks for clothing, just fasten them to the board and you have an original and playful clothes hanger! 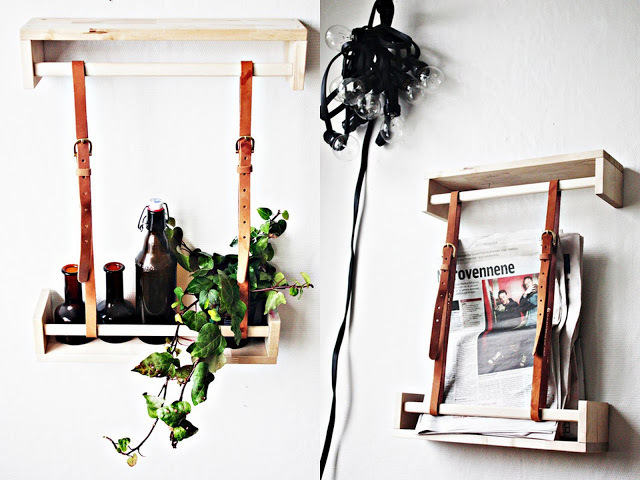 The idea is quite simple - if you have some traps from your bag, you can use them to decorate shelves. In some case those straps don't let stuff to fall down as in the example with the newspapers. Such a pouf requires some patience but you're going to have a very strong seated(or not) furniture! Well, such a headboard will not be a perfect idea to everyone becaus it can cause controversial feelings. For some it's a very attractive idea and for others it's a fact that books ar being destroyed. I guess that in a childhood a lot of you were making such curl threads, well, at least me myself did them at school and really lovet the process itself! :) I wouldn't even imagine that putting them into one bunch it's possible to make a very cozy and colorful carpet or maybe use it as a picture!